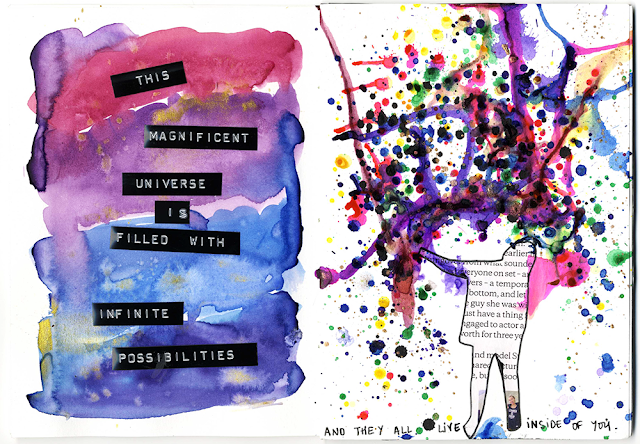 It was truly an honor to work on the Infinite Possibilities zine because it is for our Zine Squad girl Katie! Julia and I enlisted Zinia and Emily for this one. 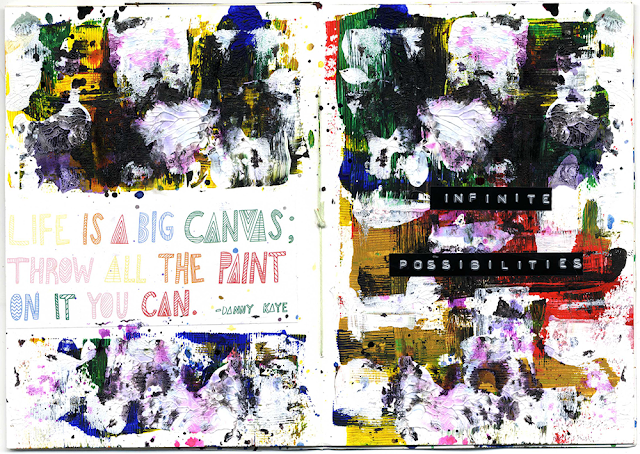 So this zine has circled the globe! From Canada to England to Greece to Australia and back to the USA. WOW! 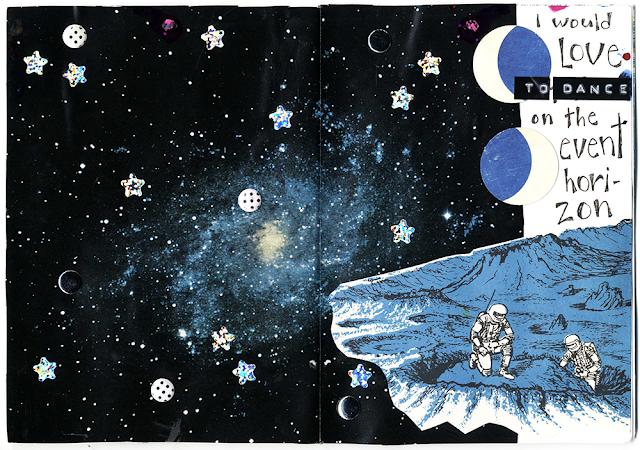 This is my favorite double spread. Like ever. The page on the left is mine. I LOVE what Julia did on the right. These come together really nicely. 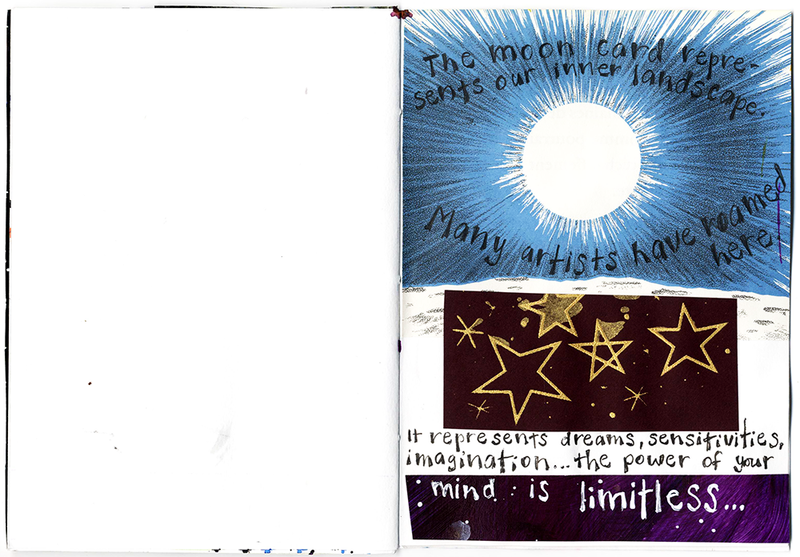 Katie loves space and the moon and stars, so I thought I’d add the description of the Moon Tarot card. It suits her nicely, don’t you think? So much inspiration here. Please check out the other pages on our respective blogs (I tagged their names). And, as always, thank you for coming by! I absolutely LOVE the event horizon page!